All original Art by Donna Z. Falcone. 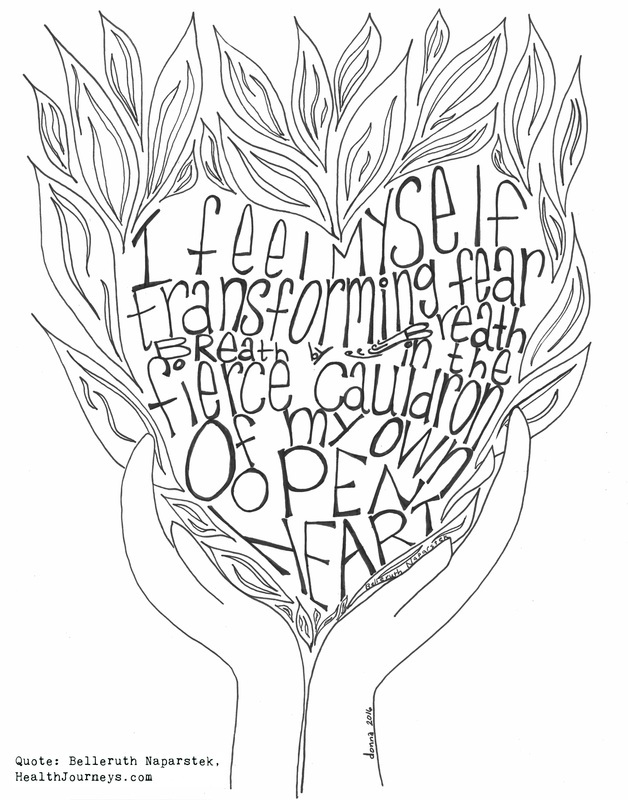 Feel free to print and color to your hearts content, and go ahead and share. #1. 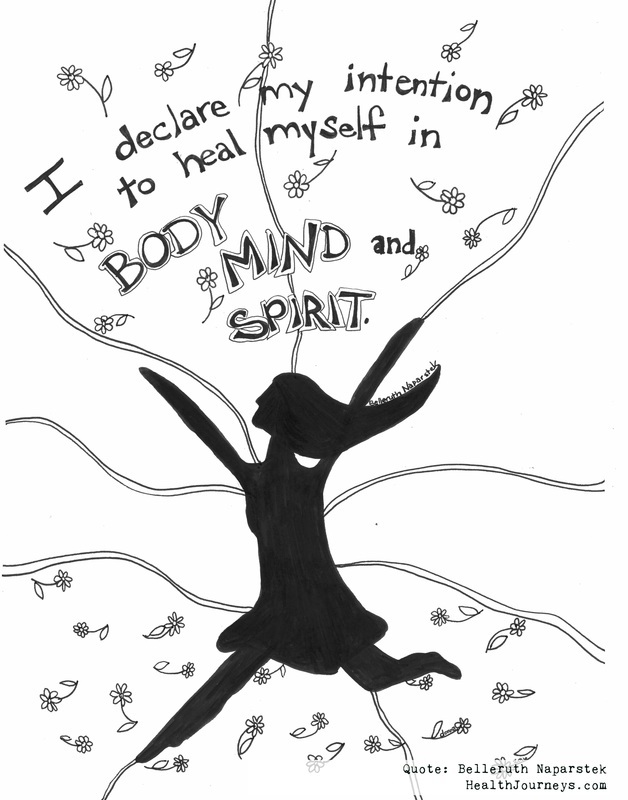 This affirmation comes from Belleruth Naparstek at HealthJourneys.com. Print and color, and feel free to share. You may enjoy jotting down more intentions in the center sections which have been left blank. Or, fill them with whatever pleases you! #2. This affirmation comes from Belleruth Naparstek at HealthJourneys.com. This particular one can be found in the Guided Meditiations for Help With Panic Attacks audio. #3. This affirmation comes from Belleruth Naparstek at HealthJourneys.com. This particular one can be found in the Guided Meditations for Help With Panic Attacks audio. As it is printed here, it is paraphrased, shortened a wee bit to fit on the page. The full quote is "I salute my own courage, strenght, endurance, and fortitude." You might like to use the white space on the page to record instances where you were courageous - situations in which your fortitude gets you through. Or... doodle some flowers or what not! 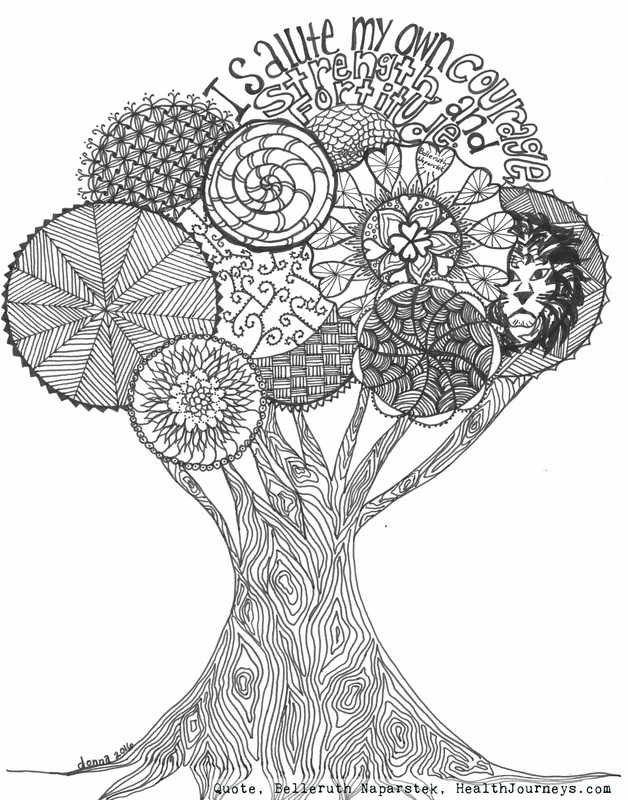 The tree design was inspired by an original design by artist and teacher Ashley Dowdy. More to come, some more complex than others. We all have different needs. ​Follow me on Twitter @PoetryOfLyme for updates, or Join my Email list..